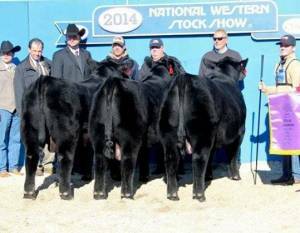 O'Reilly Factor was the most phenotypically imposing Angus bull shown at the 2011 NWSS that combined calving ease EPDs with extraordinary growth. 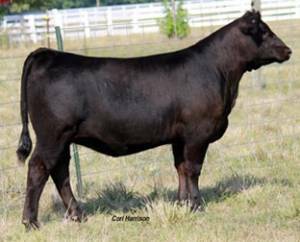 Many cattlemen admired the extra bone, body, style, and muscle shape that he possesses. 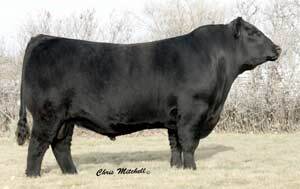 He's an easy fleshing bull as this picture was taken only 135 days after he bred 55 cows as a yearling.